An anthology of Indra Herlambang's writings. Yes, Indra Herlambang, the host of Insert in Trans TV. I once read his articles in a magazine and enjoyed it. When I found his book in Gramedia, I directly bought it. The book is about Indra's articles from Indra Herlambang's column in several magazines, i.e. Free Magazine, U Magazine and ME. Indra divided his books into 4 chapters, the life style, the love, Jakarta and family. He started each article with a related tweet like I quoted above. He delivers his thought in a simple yet interesting way. Humorous and witty at the sametime. I enjoy every article, every sentence and curious about the ending. Most topic are about everyday life. About facebook and why lately people tend to show off there, about his interview with Miyabi, about Obama, about the difference between twitter and the real birds, and many more, but the most touching part is about family. It seems that he is so close to his family. When he wrote about his family particularly his parents, I know it comes from heart. Never thought that Indra's writings are so entertained. I finished this book in a short time. A perfect companion while sipping my caramel tea. tapi belum beli bukunyaa, hehe.. segera! @MbYana: Iya, Indra is good in writing. 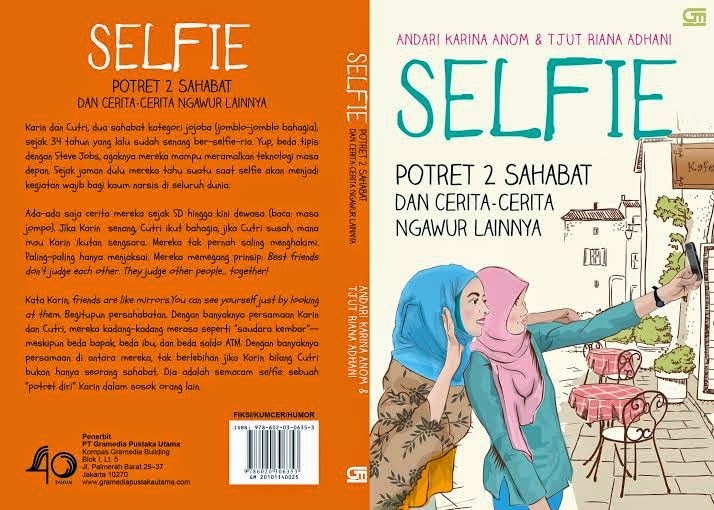 Tulisan2nya mencerminkan dirinya, sederhana & apa adanya.